Happy 4th of July! To celebrate a few of my friends and I have a few freebies and sales for you! Happy shopping! FREE FOR THE FIRST TIME EVER!! ONE DAY ONLY!! Get the audiobook for $1.99 when you download the e-book! this lethal Dhampir leaves no trace of his victims behind. The life of deadly Russian slayer, Trace, has always revolved around death and preventing humankind from learning about the legendary creatures of the night. But now his position as a Watcher has become a prison, and dealing death for the Nation isn’t as prestigious as he once believed it to be. College dropout Bessina Darrow has witnessed things she isn’t permitted to see, a simple case of wrong place at the wrong time puts her life in danger. 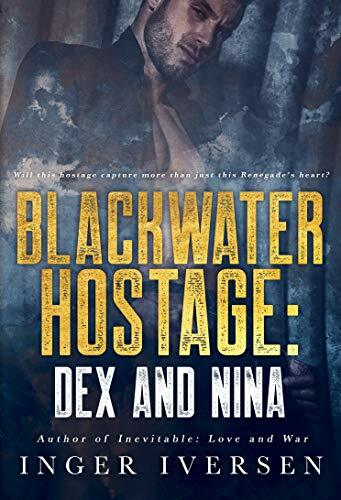 When Bessina becomes his new mark, Trace is prepared to eliminate her—until he discovers a way out for them both. Protecting Bessina means defying the leaders of the Nation, an act that has them both running for their lives. The more Trace fights to disappear from danger, the more he unravels the secrets surrounding his world of lore—secrets he must unveil to finally save a life, instead of destroy it. GIVEAWAY CLOSES 7/5: When you order your copy, you enter a drawing to win a Kindle Fire, $50.00 Amazon GC, & 3 signed paperbacks:http://bit.ly/1UhaKmq. The Blood Books trilogy by Danielle Rose is Underworld meets The Craft that fans of Harry Potter and Twilight will enjoy! Readers are praising this "must read" trilogy as "unputdownable" and "purely addicting." This omnibus edition includes all 3 books (over 700 pages!) in the spellbinding Blood Books trilogy. PLEASE CHECK ALL PRICES BEFORE CLICKING. SOME SALES MAY BE OVER. Older PostConfessions in the Dark 1 Day!! !